Winter is in the air, and the festivals taking place this season are amongst some of the most exciting both in the realm of the arts and music. 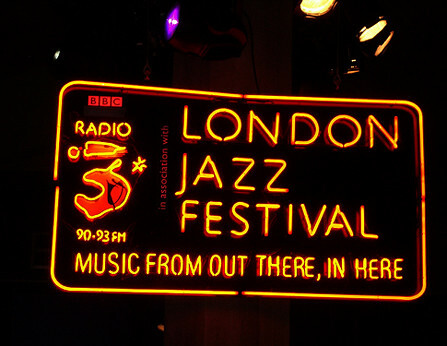 The upcoming Jazz Festival in London is certainly no exception; and as I do every year, I look forward to immersing myself in its dynamic programme for as many nights I can between the 14th and 23rd of November. Promising a bit of something for everyone (if jazz isn’t your thing, you might even be persuaded), the 2008 line-up includes some of today’s most well-known jazz acts, as well as a series of sessions available for free entry including a few launching various ensembles playing between a host of popular West End and Central London venues. For sake of narrowing down this endless list of listening enjoyment, fellow lovers of Herbie Hancock will be sad to know that tickets for his Sextet’s gig at the Royal Festival Hall have unfortunately already been sold out; however there’s no shortage of alternatives ranging from the London Jazz Collective, the Portico Quartet and Norwegian saxophonist Frøy Aagre. All thing considered, I’m even more gutted that Murcof‘s performance with Bcn216 and Oren Marshall is also unsurprisingly sold out, but I have no doubt that nights with legends Erik Truffaz and Ketil Bjørnstad will more than make up for missing out on such an opportunity (Arkhangelsk and Floating are amongst some of my most prized jazz records at the moment). Others that would be an absolute shame to miss out on are the Matthew Herbert Big Band (yes, the Matthew Herbert, master of organic electro-sampling) and Turkey’s eclectic Taksim Trio with Omer Klein, the latter whose instrumentational influence is derived from the Middle East and North African traditions. Other performances will include New Jazz Now and several Unplugged Sessions offering a selection of the classics and more contemporary, alternative cross-over styles of jazz on the circuit. And in memory of possibly the most exceptionally brilliant trio to be heard over the last two decades, a tribute will be held at the Queen Elizabeth Hall in honour of the Esbjörn Svensson Trio, whose pianist sadly passed away earlier this year. Back in July after receiving word of Esbjörn Svensson’s tragic death, I had promised to follow up with fuller commentary in a review of sorts when at the time I found an obituary would suffice until the release of E.S.T.’s then long-awaited (and perhaps final) album. Taking the opportunity to do so now, especially if you are unable to attend next month’s Memorial at the Southbank Centre, I strongly encourage you to add Leucocyte to your collection as soon as you possibly can. Exemplary modal jazz brimming with the melodious articulation that only Sweden’s most-famed jazz outfit can achieve, all ten tracks on this volume provide a window into the extensive repertoire of E.S.T. that would suit both veteran listeners and newcomers alike. With their quintessential mix of acid jazz and Scandinavian folk-inspired non-diatonic structures punctuated by the splendor that is Esbjörn Svensson’s mastery of the keys, Leucocyte has quelled any doubt I may have had before as regards to whether or not any album succeeding Tuesday Wonderland and Viaticum would be able to carry on that musical legacy beyond another level of dynamic complexity.